Eden Park's crowd has received an open invitation to get rough with the verbals at Australia's players in Saturday's World Cup showdown. The "bring it on" call came from firebrand Australian opener David Warner, one of cricket's most abrasive figures, who was fined last month after taunting Indian cricketer Rohit Sharma. ''Perfect," he said when asked if he anticipated a hot reception at Eden Park. ''I hope they come out and boo us and give us crap like they always do. ''That's what's going to happen. We love it, it gets us up and going, gets the adrenaline going for sure." Warner thrives on the battle and if the mob are baying for him, all the better. ''You get some obscure swear words and a couple of things thrown at you, but that's what you expect when you come here. ''It's happened before. It's probably going to happen again. But I embrace it. ''They can give it to me as much as they want. I'll just get it on board and let my bat do the talking." And Warner is full of praise for Brendon McCullum's swashbuckling batting. "I think a lot of people have seen in the last 10 years how Brendon can bat. It's not by fluke or by chance he's come out and scored the runs he has. ''He's had a great last 12 months but at the end of the day he's one player out of the rest of their team." Warner believes creating pressure is key for Australia's bowlers to put a curb on the dangerous McCullum. "I won't give advice to the bowlers, they should know what line and length to bowl to McCullum. If they bowl the right line and lengths we'll get him out. ''He's a player who can come down the wicket, uses the off side well. We've got to back our strengths. If we bowl well to him, we'll create the pressure and he'll have a brain explosion." Warner, who was living it up on Waiheke Island yesterday (see below), has his recipe for coping with the oddly-shaped ground where the boundaries are ridiculously short at both ends. ''I think a lot of the guys have played at ANZ Stadium (in Sydney) and we know what we have to do. 'You have to bowl just short of a length if the batter is in, and early on you've got to still try to get it up there, test match length to try and get wickets." Warner admitted he doesn't watch much cricket - ''I'd rather watch a shark documentary" - but has taken note of New Zealand's bowling form. 100 percent in their conditions. I think every team knows their conditions very well. ''At the moment they've been getting early wickets, a little bit of swing, and a good start with the bat. 'We're in their backyard. We've got to play our best cricket. I think if we play our best brand of cricket we're going to get over them." Last month, less than a week after reports that the ICC had issued a pre-tournament warning to teams to refrain from sledging, and backed match officials to come down hard on behaviour that breaches the game's code of conduct, Warner was captured on video telling India's Rohit Sharma to "speak English" during a one-day international in Melbourne. The heated argument started when Warner confronted Sharma about an overthrow at the Melbourne Cricket Ground on January 18. 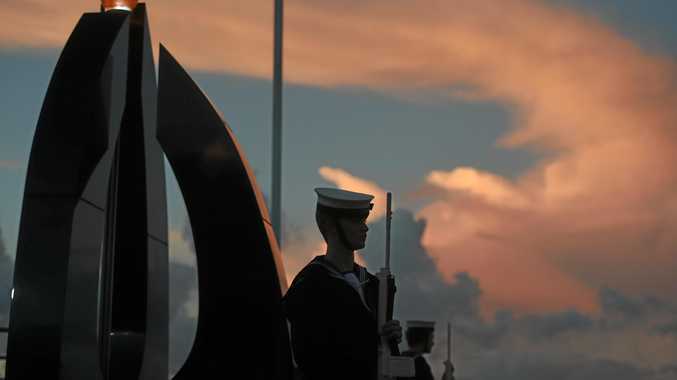 News Complete guide: Where to remember the fallen and those who served this Anzac Day in the Gympie region.